Let me give you a quick background of what I'm building. 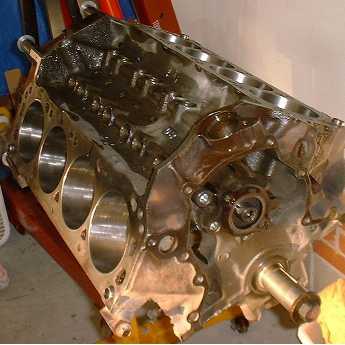 The engine pictured is a 1984 302 Ford Mustang motor. It's out of my 84 LX Mustang. The reason I'm rebuilding it is because it's taking up space in my garage. 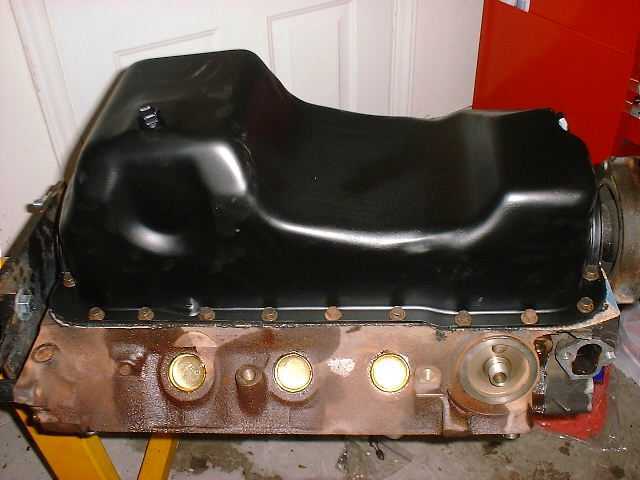 I plan on using the 1990 GT 302 that's currently in my Mustang for my AC Cobra project, therefore I need to replace it. The other reason for the engine swap is to return my 5.0 Mustang back to it's original form. 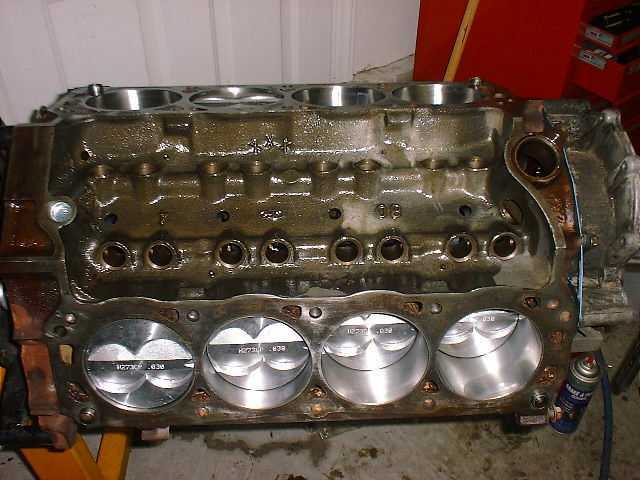 I have included various pictures of the engines rebuilding. Click on the thumbnails so you can enlarge the pictures. Tuesday May 16th at 9:32 PM is the first time the Cobra was started. Most people who aren't car enthusiasts would think it was a little strange to care so much. However when you have put almost 4 months into getting the car to this stage this is a wonderful sound to hear. Listen for yourself: .wav (447 k) or download the self extracting .exe (177 k). 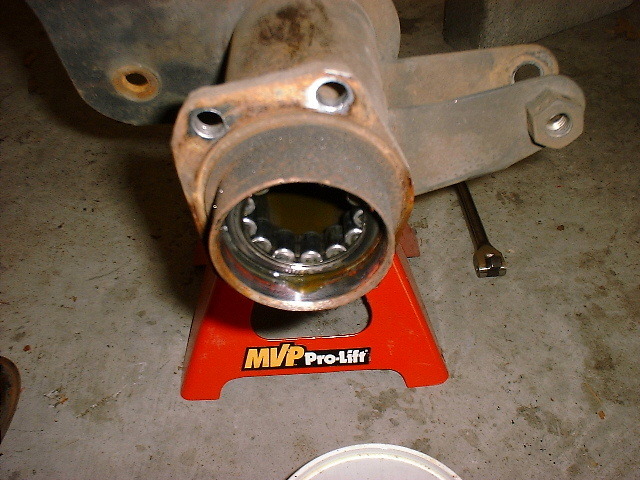 This section is dedicated to the transmission and drive shaft. 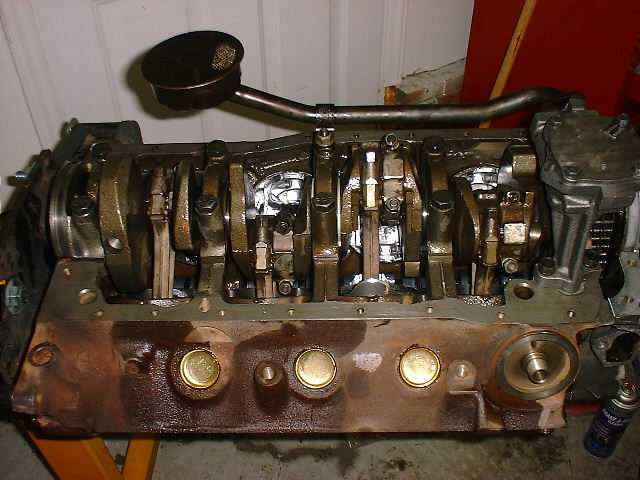 The transmission I chose is a World Class T-5 out a of 1989 5.0 liter Mustang. 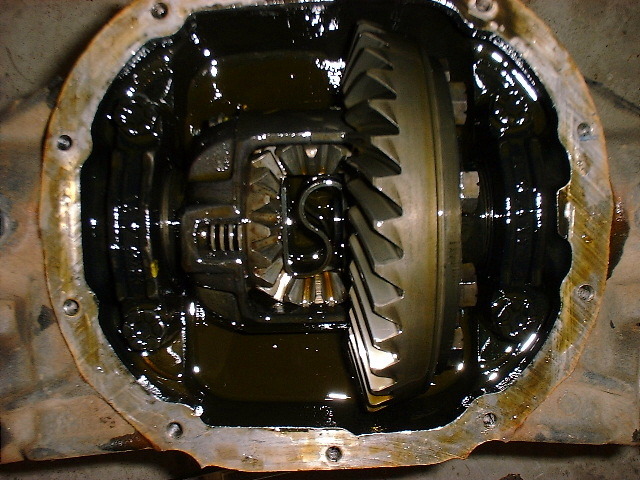 Before I installed it I completely rebuilt the transmission. I bought the parts from D and D Performance. Unfortunately my computer was stolen so the pictures of the rebuild are no longer available. 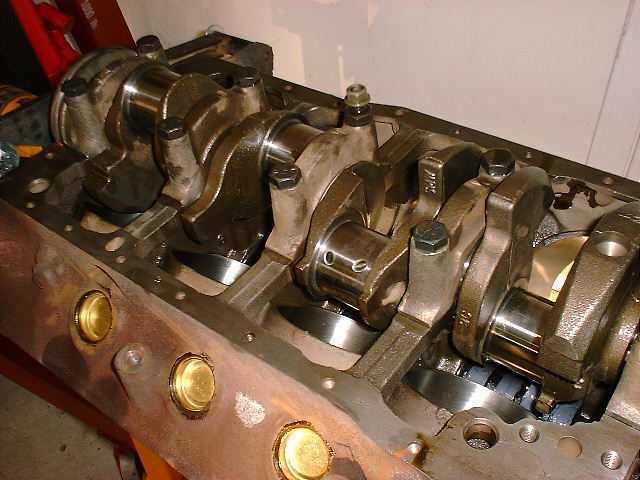 The drive shaft was also sourced from a 5 speed 5.0 liter Mustang. As you can see it has been drastically shortened. It cost approx. $100 to have it shortened/balanced. 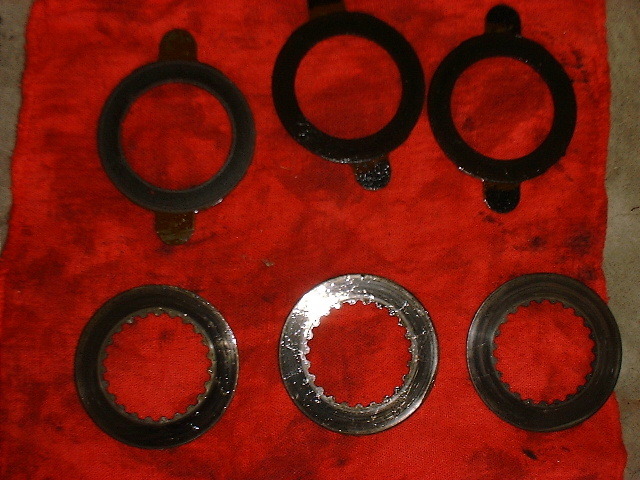 I had a local machine shop do the shortening along with replacement of the needle bearings. 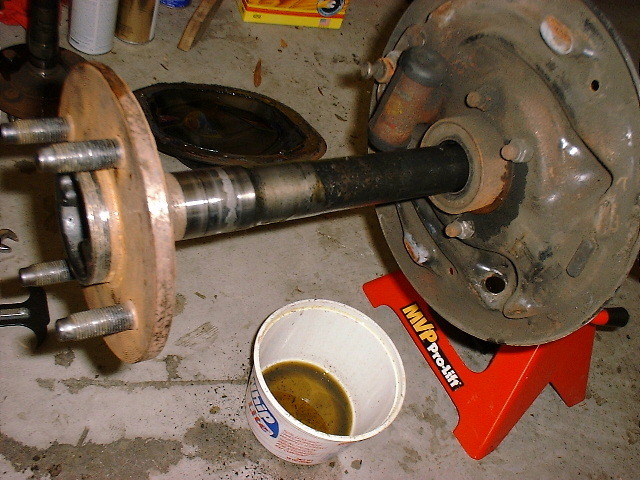 The drive shaft now has a overall length of 10 3/4 inches. One item that I have had much experience with lately is the speedometer gear. 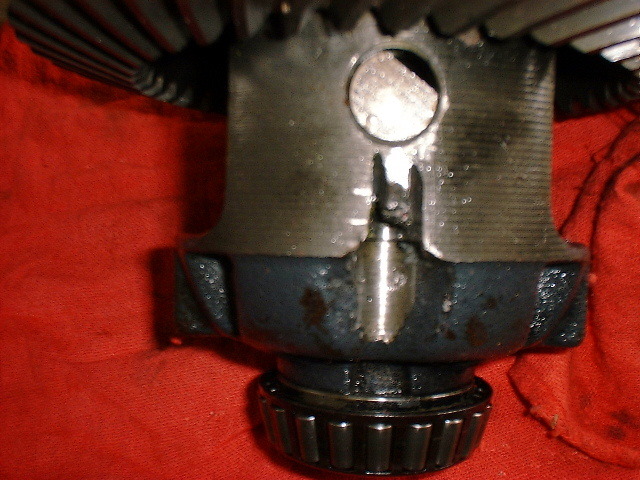 This gear attaches to the end of the speedometer cable and then slides into the back of the transmission on the drivers side. 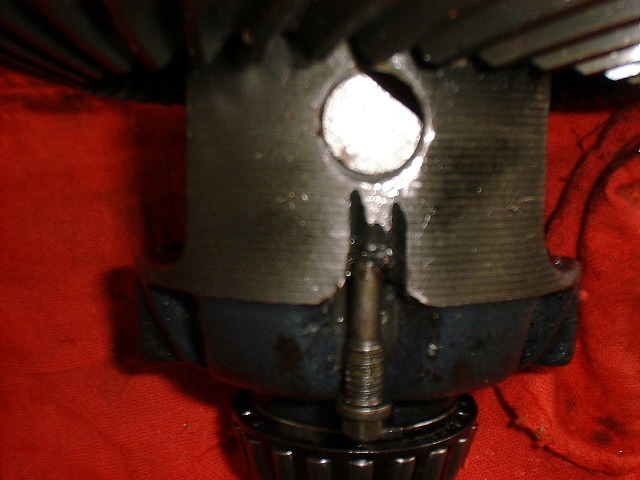 There are various speedometer gears for different tire/rear end gear ratios. For more info on speedometer selection for the appropriate rear end gear combo click here. I found this site recently and it gives a lot of insight into the which and why questions we all ask about speedometer gears. 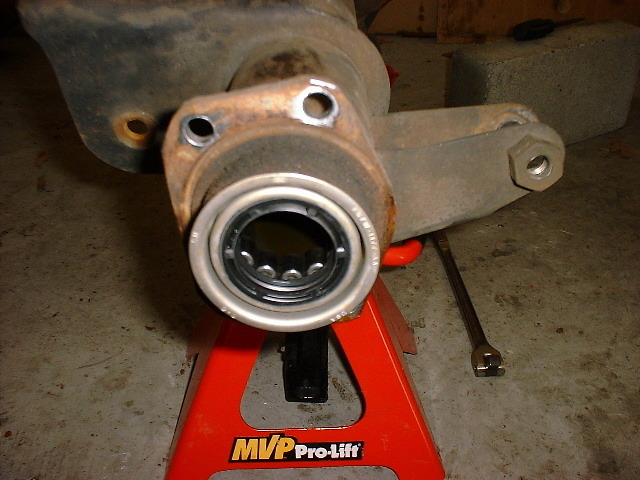 I have also posted this info on the rear axle page. The rear end that I am using is out of a 1985 SVO Mustang. 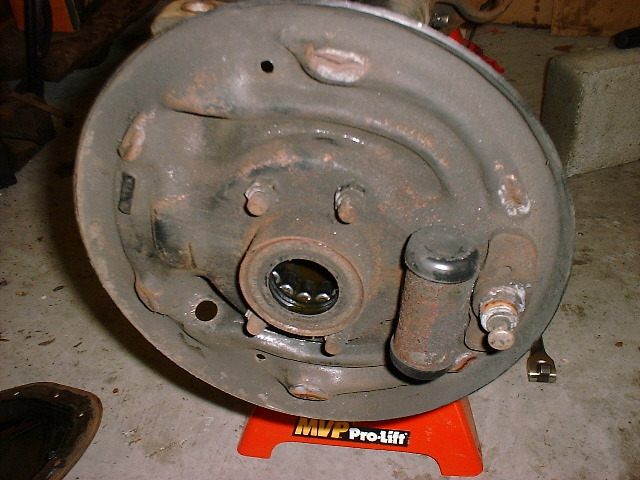 The rear end comes factory with a 5 bolt pattern and 11 inch disk breaks and 3.73 gear. The 1985 SVO rear end is a 7.5 inch rear end. You may be wondering why I chose the smaller less stout rear end for my Cobra project. Due to the light weight of the Cobra (2000 pounds) the rear end will get much less punishment than if it were installed in a Mustang. Since I won't be drag racing the car we should see many years of use out of it. Here are a few pictures of it installed in our Cobra. I wanted to update this section a little. Since installing the rear end I have run into a few issues. I bought the rear end second hand. It was in pretty bad condition visually but I figured the internals would be fine. Well I recently figured out that the rear was in terrible condition. The Traction Lock unit recently started making some very odd sounds when corning. In the straights it was fine. I also recently found another 7.5 inch rear from a 85 5.0 Mustang. It has 3.08 gears and seems to be in good condition. the great thing is that you can swap out the 5 lug axles and disc brakes onto the 3.08 rear end. I'll be doing this conversion very soon because Spring is on our heels. I'm also looking forward to having longer gears. The 3.73 rear end was too much for the street. If I was simply swapping gears I'd go with a 3.27 or 3.55 rear end. However I couldn't pass up the deal on the 3.08. Seems like they are a dime a dozen unlike the beefed up 8.8 axles that everyone wants. Since I'll be changing rear ends I'll also need to change speedometer gears for more info on speedometer gear selection check out this web site. The side exhausts just came in this week. They were on back order but well worth the wait. They are incredible looking. They will definitely accent the car. They are designed to work with or without catalytic converters. They also use stock or after market headers. We opted for our exhaust to be coated so that it would last longer and have that polished look. Here are some pictures. More will be added as we get to the installation of the pieces. Contact webmaster@thecobrashop.com with comments or questions. © Copyright 2000-2007, All rights reserved.